If you’ve been following Cari Mateo for awhile, you know that we have a deep respect and fascination for Japanese art and culture. 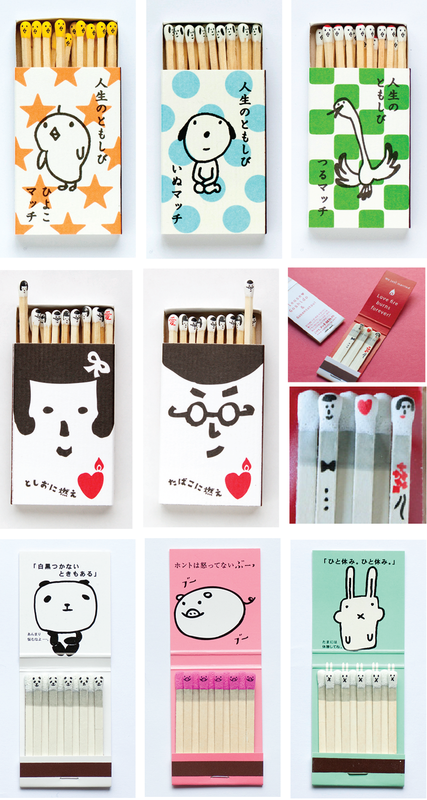 Stumbled on to this collection of matchsticks designed by Japanese artist, Hiromi Hirasaka, and knew we had to post it. The artist began by drawing match faces by hand then decided to hand stamp the faces for mass production. Would love to get some of these Kokeshi Matches but unfortunately like many Japanese products they are available only in Japan. Images: Courtesy of Hiromi Hirasaka.